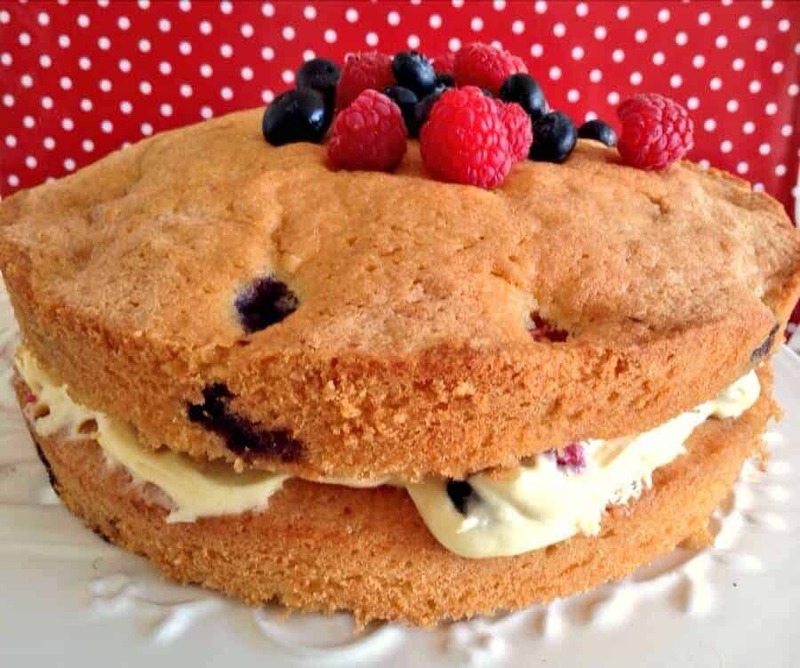 I don’t know about you but sometimes I just have to get back to basics with baking and bake a cake! Since taking part in the #GreatBloggersBakeoff this year, all my bakes seem to be related to British Bakeoff and getting more and more complicated. Sometimes it is nice just to throw a few ingredients together, and know it will work! 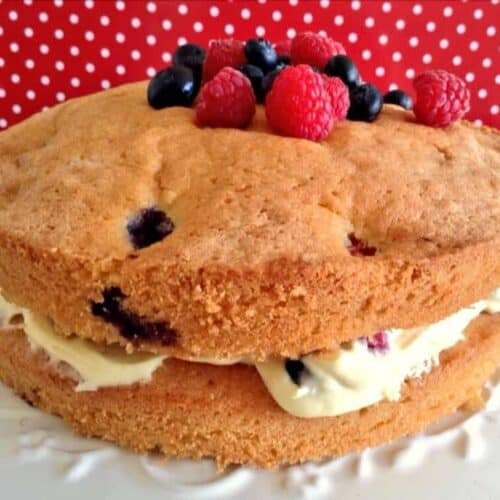 Read on for my recipe for a delicious coconut, raspberry and blueberry cake! As we have now sadly reached the end of summer, I wanted to use the last of the summer fruits in my cake, before it is time to make way for baked apples, pumpkins and other mellow autumnal fruits. I do love desiccated coconut in a cake, and thought this might give the cake some added texture too. My children were also thrilled to see I had made something they would want to eat. They weren’t that keen on povitica last week…. I can’t imagine why. 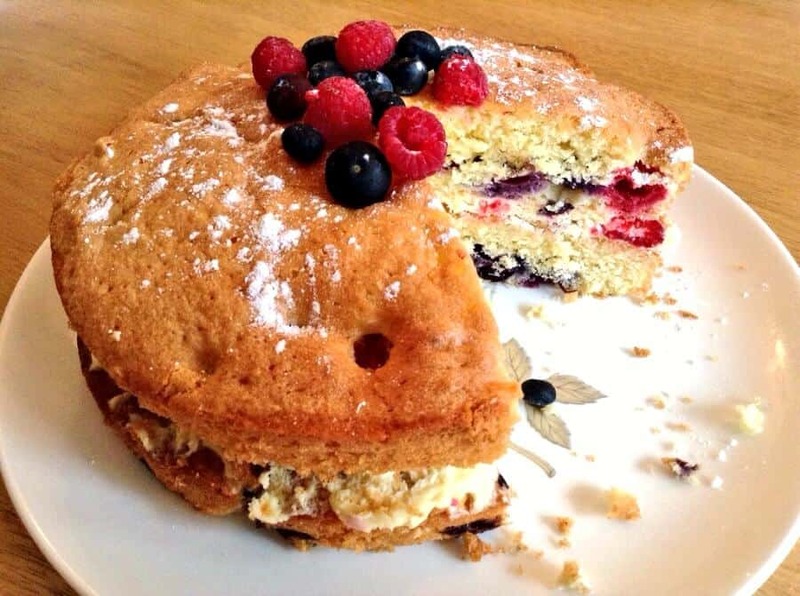 Cake of course is always popular, especially when it is filled with summer fruit! 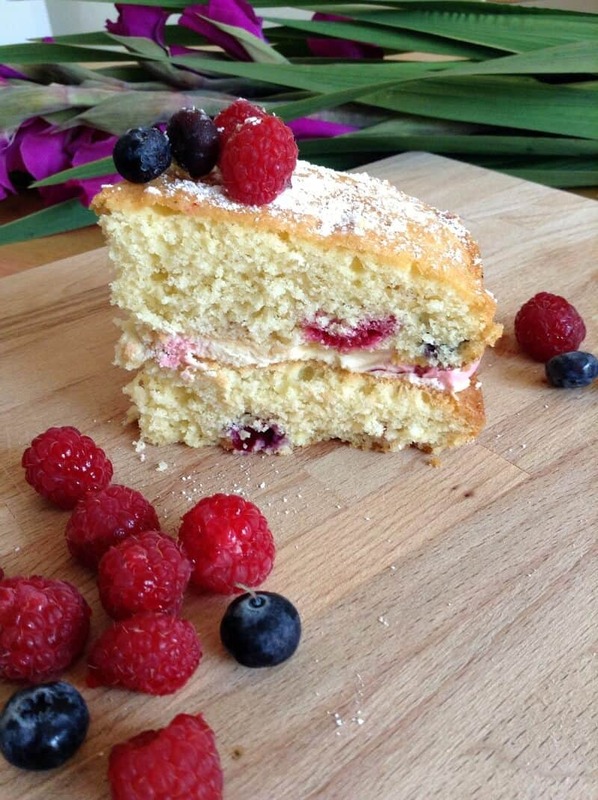 My coconut, raspberry and blueberry cake looks pretty enough for afternoon tea, and will brighten up a dull afternoon. If it does not get scoffed straight away (not sure why! ), store it in the fridge due to the cream filling. Put the butter, sugar, self-raising flour, baking powder and eggs in a large bowl and mix using an electric whisk until smooth. Add the desiccated coconut and fold it in. Dust the berries with a little flour (to stop them sinking), then add to the bowl and fold in carefully. Grease two 7 inch cake tins, pour half the cake batter into each one. Bake at 180 degrees for 20-25 minutes until golden brown, firm on top, and a cake tester comes out clean from the centre. Remove from the oven, allow to cool for 5 minutes in the tins, then turn out of the tins onto racks to cool completely. Whisk the cream for around 5 minutes until it reaches the soft peak stage. Stir in the extra fruit. Spread the fruit and cream on top of one of the layers, then add the second on top. Place the remaining berries on top and dust with icing sugar. 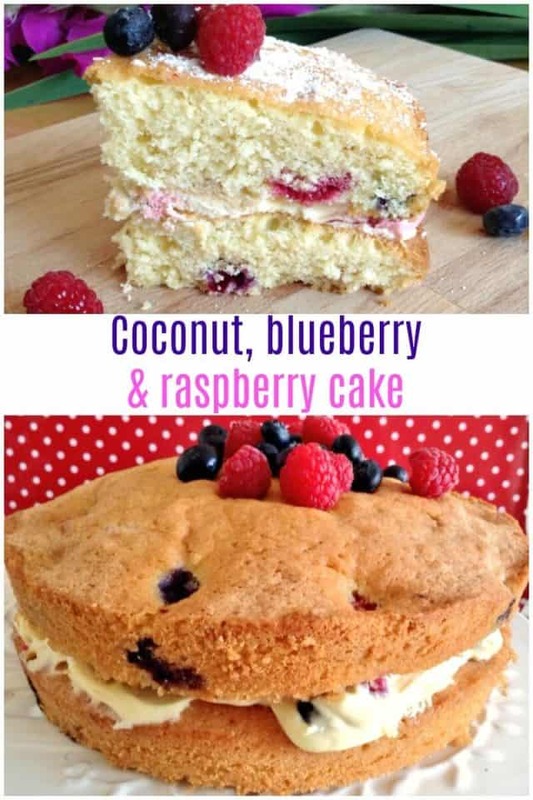 Pin my coconut, raspberry and blueberry cake for later! Oh yummy! This is most definitely a cake me and my family would enjoy. It looks gorgeous. I’m hoping that in the GBBO final there will be some stunning cakes, fingers crossed. That cake looks scrummy! I think my kids would have the same reaction if they came come to that. Thanks for dropping in Heledd! Thanks for visiting Lucy and for your lovely comments! 🙂 My eldest daughter tried the apple and cinnamon povitica but didn’t want to try the others. Too fancy I think! But they all loved this. Loved the pistachio and chocolate from #CookBlogShare roundup this week, delicious!